1. virus and diseases also came back to the old world wiping out millions of europeans that had no ability to fight off the foreign viruses. 2. We didn't kill these people the viruses that wiped out 1/3rd of our population for thousands of years did that we brought over(NOT by purpose!). 3. Name one cultural or racial group that doesn't have blood on its hands? Of course, the racist anti-white media won't talk about the above. What's funny is 1 and 2 are things i learned in college world history. So I guess people should just remain isolated and never explore is what our racist media wishes. "You will Do well to try to Innoculate the Indians, by means of Blankets, as well as to Try Every other Method, that can Serve to Extirpate this Execrable Race. – I should be very glad [if] your Scheme for Hunting them down by Dogs could take Effect; but England is at too great a Distance to think that at present." 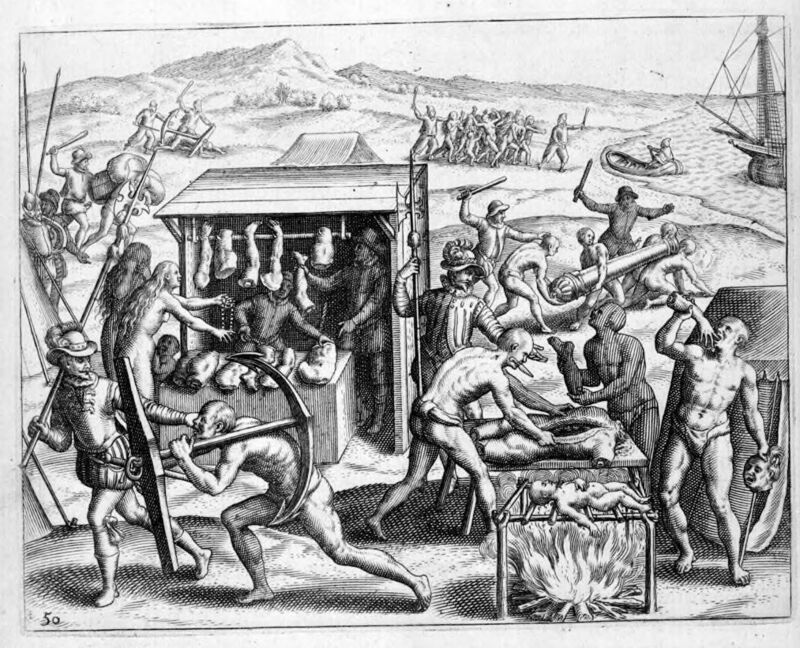 I enjoy seeing you try to justify the genocide of the Natives, and I hope you do it again. Isn't all this exploring just blameless fun? It's more that this particular troll has actually gotten under my skin over the past few months.